Every industry has its language; can you talk tourism? We abbreviate words or phrases to save time, effort or space. This is great, but if you don’t know what the acronym or abbreviation stands for, it may feel like people are speaking a different language. 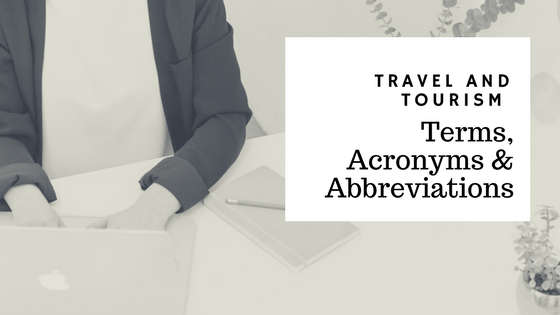 For those of us in the tourism industry, like many others, we use a wide array of abbreviations and/or acronyms. Below are 20 travel and tourism terms used frequently. Accessible: Handicapped accessible. Whether a hotel, restaurant, or attraction can accommodate people in wheelchairs or who have other disabilities. Assets: The attractions, hotels and restaurants within a given region. Assets are what that area has to offer guests who visit. Buyers: Travel Trade professionals who sell to consumers. They are tour operators, receptive operators, travel agents and OTAs (online travel agents). They look for destinations and attractions to package and sell to their customers. CVB: Convention and Visitors Bureau. Primarily the same thing as a DMO or TPA (see below). DMO: Destination Marketing Organization. A destination marketing organization is an entity that promotes a town, city, region, or country to increase visitation. It promotes the development and marketing of a destination, focusing on convention sales, tourism marketing, and services. The primary goal of a DMO is to create and implement strategic marketing plans around tourism, bringing local tourism businesses together and helping them to work collectively. This transforms a set of attractions, activities and services into a cohesive and compelling travel experience. Break the Ice Media works with several DMOs, including Cayuga County Office of Tourism, Genesee County Office of Tourism and Visit Syracuse. FAM: Familiarization Tour. FAMs are marketing initiatives, inviting either media or travel trade professionals to tour a region or destination. Experiencing it helps them write about it or sell it as a product to their customers. The activities on a FAM are typically shorter than what the actual visitor experiences. They provide a sampling of what is offered. FIT: Foreign Independent Traveler. An international family or small group travelling to the USA. They arrive by airplane and usually rent cars for transportation. Fly drive: A vacation package that includes air transportation and a rental car. Many international tourists (FITs) prefer to buy these types of packages to explore a destination. Front-line staff: People who interact with and give service to customers, guests and visitors. For example, front desk staff at a hotel or a cashier at an attraction. Group Leader: The person who accompanies and/or leads the people on a group tour. They work for the Group Tour Operator who sells the tour. Group Tour Operator: A person who puts together vacation packages for groups. They sell these packages as products to consumers. They also fit into the category of Buyers. Inbound operators: Agencies that specialize in providing tour packages to international travelers visiting the United States. Also known as Receptive Operators. Travel agents from foreign countries will work with an inbound receptive operator to find a travel package that suits their customers. A couple of examples are TourMappers and ATI, who we’ve worked with. Inbound Tourism: Tourism generated by visitors from foreign countries. This does not include drive markets in the U.S. (domestic travel), and in New York State visitors. Itinerary: The planned route for a trip. This is what the travel trade professionals sell to their customers. It’s a pre-planned experience with where to go, when, and what to expect when you get there. Motorcoach: Large passenger bus. This is the vehicle most often used for people travelling with group travel tours. Partners: The people who own or manage the assets of a region. These partners work closely with their region’s DMO and benefit from tourism dollars spent at their establishments. Rack Rate: Standard daily rate established for hotel rooms. This rate is typically public, printed on hotel brochures and listed on websites. Suppliers: Tourism or Travel professionals who sell to businesses aka Buyers. They sell B2B (that means business to business). They work with tourism companies to promote their attraction or destination. TPA: Tourism Promotion Agency. This is basically the same thing as a DMO. A government agency that promotes tourism in a specific county or region within New York State. 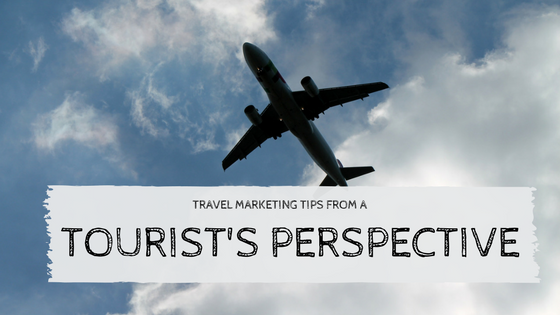 How to Promote Local Tourism Travel Technology- VR for Tourism Travel Marketing Tips from a Tourist’s Perspective Canadian Tourism – Alive and Well Travel Technology – Disruptor or New Normal for Tourism Marketing?